Understanding these terms will help you to understand chronic myelogenous leukemia. We have all heard the term marrow before, but just what is it? Marrow is present in our bodies inside of the bones where blood and immune cells are made. It is the spongy center of your bones. 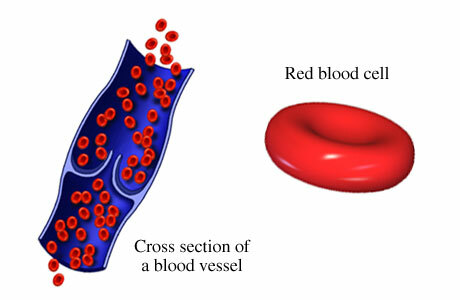 Blood cells are made in the marrow and begin as stem cells. 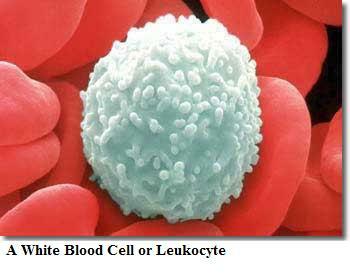 The stem cells become red cells, white cells and platelets in the marrow and then they enter your blood stream. Interestingly enough, when we are newborn, all of our bones have active marrow. When we reach young adulthood, the bones of the hands, feet, arms and legs no longer have functioning marrow. Adults’ marrow is functioning in the spine, hip and shoulder bones, ribs, breastbone and skull. I found that fascinating! 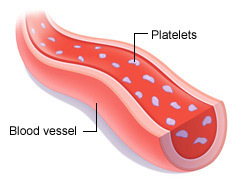 Platelets are very important as they are what stop bleeding. 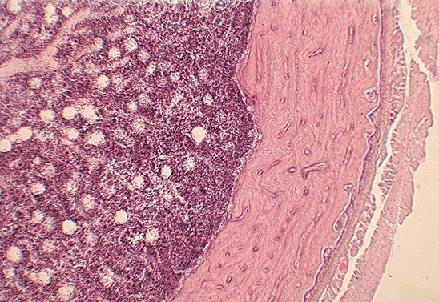 They are small cells about one-tenth the size of red cells. They actually form a plug or scab to prevent our bodies from excessive bleeding. They actually stick to a torn surface of the damaged blood vessel and form the clot; thus allowing the vessel wall to heal. They also release growth factors that stimulate wound repair and new vessel formation. 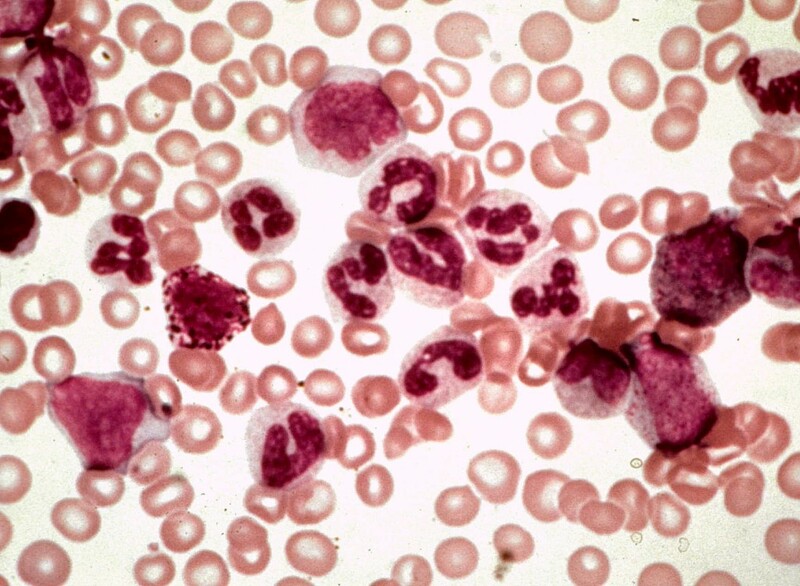 The low levels of platelets often found in leukemia patients are what cause the bruising. My bruising was accompanied by large lumps where the bruising occurred. The “lumps” were caused by the massive amounts of white cells in my blood stream. Our red cells carry oxygen around our bodies. My low level of red cells was what caused me to feel tired and short of breath. The lack of oxygen getting to my organs was the culprit; I also was very pale. The red cells actually make up less than half the volume of our blood. The hemoglobin is a protein that actually picks up oxygen in our lungs and delivers it to the cells all around our body. It then picks up carbon dioxide and delivers it back to our lungs where it is removed when we exhale. White cells are our warriors! They fight infection. There are two major types of white cells; the neutrophils and monocytes; they are the germ-eating cells, and the lymphocytes. They can actually ingest and kill bacteria or fungi. Unlike red cells and platelets, they have the capability to leave the blood and enter your body’s’ tissue to attack invading organisms and help combat infection. The problem with the type of leukemia that I have is that I have an over abundant amount of white cells, but they are unhealthy mature cells. They are taking over my blood stream in force and crowding out the healthy white and red cells, as well as the platelets. 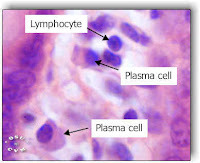 The lymphocytes are mostly found in the lymph nodes, spleen and lymphatic channels, although some enter the blood. They are a key part of the immune system and include these three major types; T cells, B cells and NK cells (natural killer cells). We also have plasma in our blood. Plasma is the liquid part of our blood and is mostly water. It also has some vitamins, minerals, proteins, hormones and other natural chemicals in it. Here is some trivia for you: The Philadelphia chromosome was first discovered and described in 1960 by Peter Nowell from University of Pennsylvania School of Medicine and David Hungerford from the Fox Chase Cancer Center's Institute for Cancer Research and was therefore named after the city in which both facilities are located. Yeah, who would've ever known that I would have to know so much about blood! thoughts, when Incredibly more to be able to send the idea my personal Internet Explorer dead. numerous varied angles. Its like women and men aren't fascinated unless it is something to accomplish with Lady gaga!